Enjoy Quality, Service & Value! Central location directly across from USAAs Main Campus & adjacent to the citys Medical/Hospital District. Exclusive Hyatt Grand Beds ensure a great nights rest in our spacious rooms that all feature updated dcor; separate work area, large 42 flat screen HDTV with unique plug & play panel to allow easy integration of laptop computers & all media devices; small refrigerator, sink/counter area with coffee maker; & Cozy-Corner sofa sleeper. After waking up refreshed, our guests start the day with complimentary Full Hot a.m. Kitchen Skillet Breakfast Buffet served weekdays 6:30 9:30 AM, weekends 7 -10 AM. Convenient Parking; Complimentary Wi-Fi throughout the Hotel; Fresh, Made-to-order food items available 24/7 & full bar service offered Noon to Midnight add to guests comfort. San Antonio International Airport (SAT) is a quick 9 miles. Downtown, The Alamo, Riverwalk, Historic King William & more are also an easy 10-15 minute drive. Major theme parks, Six Flags Fiesta Texas (8 miles) & SeaWorld (15 miles), luxury shopping at Shops at La Cantera & the Rim are nearby as well. Complimentary shuttle arranged weekdays 8 AM- 5PM to area businesses, medical facilities, shopping & dining within a 3 mile radius including many hospitals, specialty clinics, offices as well as USAA, UT Health Science Center, Aviat Networks, Huebner Oaks Shopping/Dining. Directly across from USAAs Main Campus off IH-10. 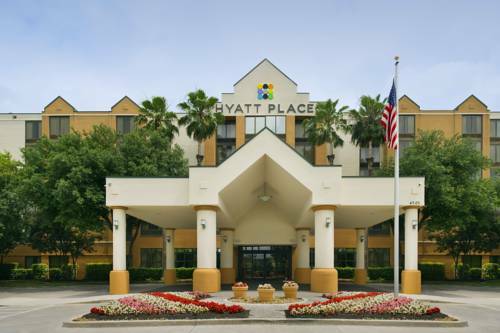 Great central location adjacent to the citys Medical/Hospital District is only minutes away from University of Texas, UT Health Science Center, corporate offices & major city attractions including the Alamo, Riverwalk, Six Flags, and SeaWorld. Must guarantee reservation with credit card at time of booking. Cancel: Hotel Time 24 Hours Prior to Arrival. Theme park, live animal shows, rides, water park and more. Newest mall in San Antonio with Nordstrom, Nieman Marcus, Macy, Dillards and much more. Also, great dining. ~9 miles from San Antonio. ~36 miles from San Antonio. ~70 miles from San Antonio.